You’ve come here to hear about the creatures of Fallout 76, and that tells us something about your priorities. You could have been reading about the new building tools, or the vaults, or PvP nukes, but something drew you to the weird folklore of West Virginia and we respect that. You want to know what it is that flaps its large wings in the fog above abandoned highways, or whose glowing, compound eyes are visible between the trees in the woods. We’re more than willing to lean into that weirdness here at PCGamesN, so we’ve put together a monster menagerie for you. 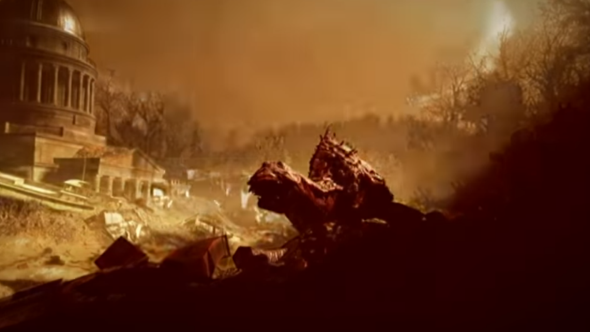 It’s fuelled by brief glimpses of the creatures in Fallout 76’s trailers, as well as half-confirmed sightings from Virginia history and anecdotal accounts that may or may not sound like the second act of Jeepers Creepers. Why not have a peek at some the upcoming PC games we’ll have to look forward to after E3? We may be hundreds of years away from the brain-rotted ghouls of Fallout 3 and 4, but in the quarter of a century since the bombs dropped in Fallout 76, it’s clear the radiation has brought local stories to life in a form nobody can deny as a trick of the light or doctored photo. 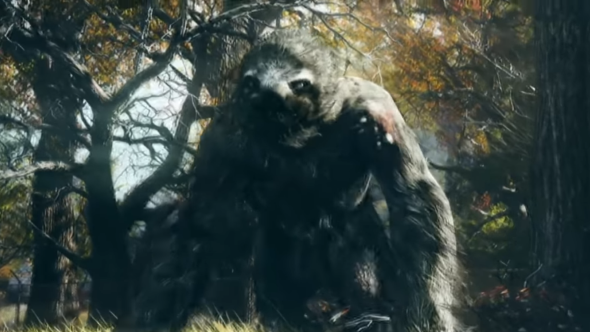 The Grafton Monster was the only creature specifically named during Bethesda’s E3 showcase, and it takes its title from a former rail industry town, hidden among the agriculture and woodland of West Virginia. Back in the ‘60s, Grafton residents couldn’t stop talking about the hulking beast they described as their Bigfoot, measuring up to nine feet in height and covered in slick, pallid skin. Some reported the Beast to be headless, though others say its head is pulled tight to its chest, invisible in silhouette. It’s certainly true that Bethesda’s version is missing any obvious facial features that could make it less a intimidating presence. A low whistle is said to herald the Grafton monster, which is just as well: it eats meat. Perhaps the most famous of West Virginia’s mythical creatures, Mothman is tied to a real-life tragedy – the 1967 collapse of the Silver Bridge across the Ohio River, which claimed the lives of 46 drivers. Sightings of Mothman dried up after the disaster, which was considered by some as proof that the two were linked. Earlier stories about Mothman drew a picture of a humanoid, flying monster with red, glowing eyes. A pair of young couples near the city of Point Pleasant told police that he had ten-foot wings and followed their car, and dozens more claims followed in the weeks afterwards. 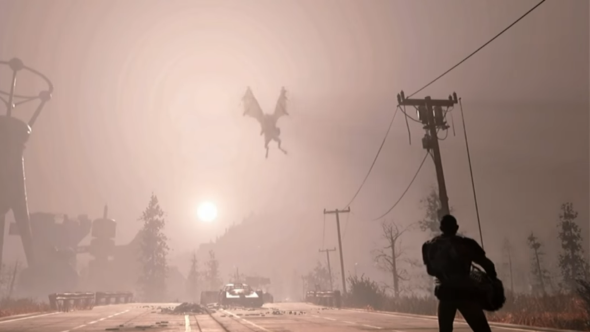 Some have suggested that the rather scary chap seen below has the wingspan to be Mothman – but he’s actually dubbed the Scorch Beast in trailers. 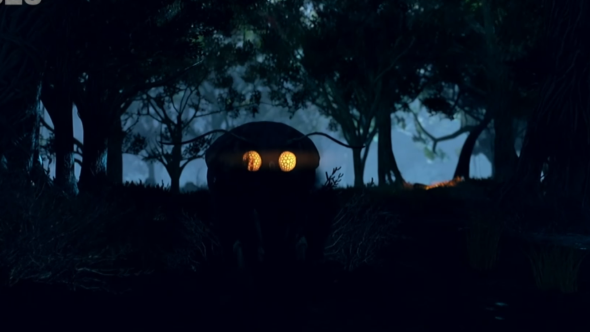 Instead, concept art seen inNoclip’s making of Fallout 76 documentaryhas us convinced that the insectoid fellow with the glowing eyes is Mothman. 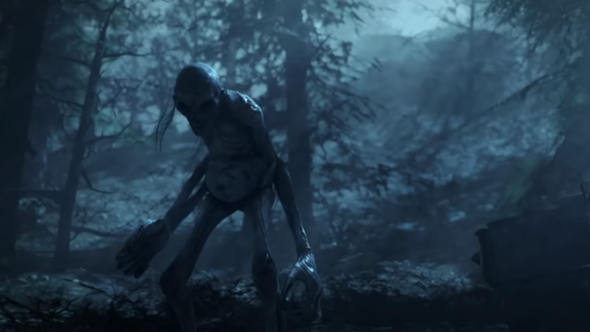 In that video, Bethesda say they plan to introduce the monster in stages, having him stalk you early on in the game before emerging for a confrontation. According to folklore, the mountainous Snarly Yow’s most distinctive features are its dog-like stature and many teeth, which could make it a match for the monster seen rearing its head near an ornate, buried building in Fallout 76’s trailers. The Yow is known for its otherworldly resilience and for lurking along ancient roads. It’s also said to be able to appear from nowhere and disappear instantly, so there’s a game mechanic in the making. The Phantom of Flatwoods is linked to another unlucky town that could make an appearance in Fallout 76. The story goes that a group of children witnessed a UFO crash, and ventured into the hills with a hairdresser to find the crash site. Or so they would have told you around the upper Elk River in the 1950s. Today a simpler explanation would be that you’ve fallen asleep while watching Super 8. The extraterrestrial the kids discovered had green skin, long, thin arms, and floated above the ground via an alien device. 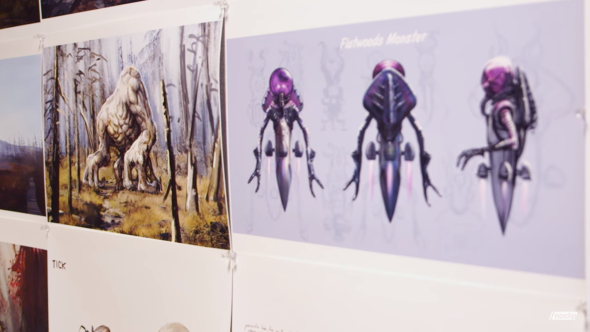 Bethesda has dabbled with UFOs in Fallout before, so this one seems likely to make an appearance – especially since it was spotted among the concept art of Noclip’s making of. The White Thing has the legs and tail of a raccoon, the horns of a goat, the wooly coat of a sheep, and the distinct odour of sulphur. You’ll see it in the woods and on the riverbanks, say witnesses, although they’ve also said that is has four eyes and screams. 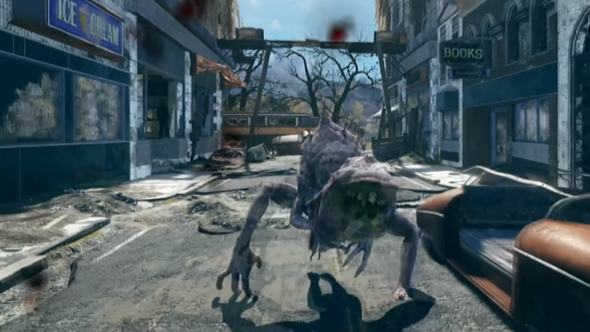 None of the creatures spotted in Fallout 76 quite match that description, but frankly, could anything? The monster above has the same pieced-together feel, but also a long tongue that lashes at you as it nears. It’s easy to imagine some of Bethesda’s new creations becoming folklore in themselves. 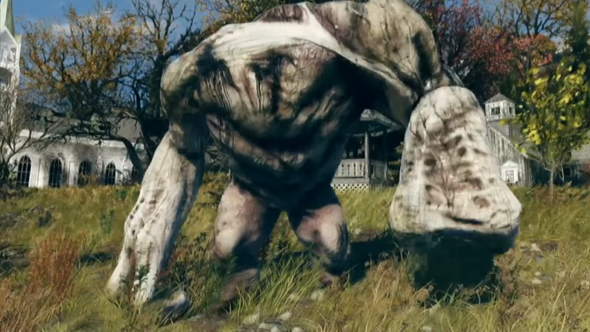 Besides the Grafton monster, this beastie is one of the few with its name bar visible during the Fallout 76 combat sequences showcased at E3. He’s, well, a really big sloth – but appears rather more active than his name suggests, galumphing towards players and soaking up damage. Elsewhere there are more folklorish creatures that we can’t put a name to – like a masked crone figure lurking outside a mine. As far as we know, they’re not rooted in local stories. We’ll be sure to update as soon as we hear more about the monsters of Fallout 76. For now, enjoy the mystery. After all, is it even folklore if you can prove it?